An excellent way to help keep your airbrush clean and in top shape. It's easy to use, highly concentrated, yet gentle and effective. Contains no hazardous solvents and is environmentally friendly. 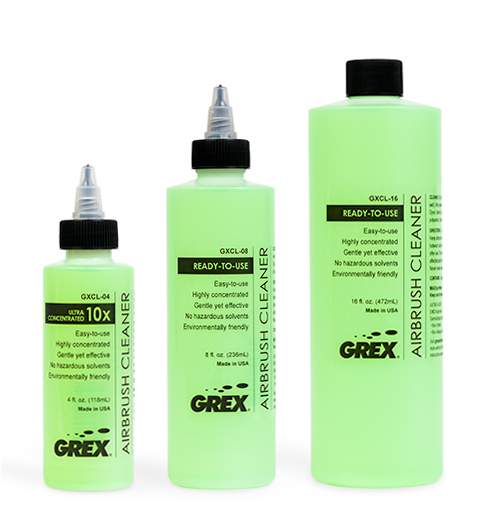 - Cleans Oils, Acrylics, Inks, Dyes, Varnish, Glues, Resins, Airbrush mediums and more! - Use hot for best results. 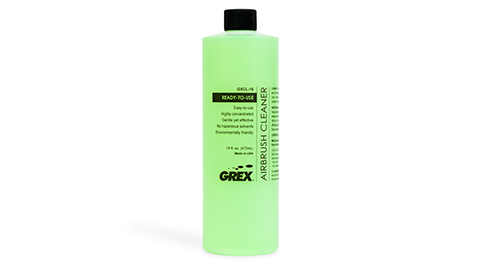 - Keep airbrush clean by spraying cleaner between color changes and immediately after use. - To remove dried paint, soak affected parts with cleaner overnight. - *Never soak entire airbrush! - Also available in 8oz Ready to Use and 4oz Super Concentrated Bottles.